I suppose you are reading this because you fancy writing on this site, well so I do. I do welcome guest posts; that’s not a problem at all. After all, this is why we are here for. India related travels, travelling to any part of India, experiences in India, Travel diary, your India photos etc you get the drift. Should be unique, well written and not published anywhere else. You also promise not to publish it somewhere else after. Should be at least 700 words. Come on, anything shorter will look lame, wouldn’t you say. If you provide photos, they must be yours, none of that “right click and copy image” stuff. You must provide a photo of yourself to go with your story (can be waived if you really don’t want to). Writers must respond to comments. You can have maximum of two links to your site in your author profile. I will post the article on Facebook, Twitter, BlogEngage (if your site is a blog), Linkedin, etc. You will get back links to your article pointing to your website. How about that? One condition; your site must be a travel related site. If you are not sure, ask me! So if you fancy a guest post on ShaluSharma.com, claim your fame now, contact me here. Thank you for providing the opportunity to guest post. I am looking forward to send you one soon. Your website is very informative and impressive. 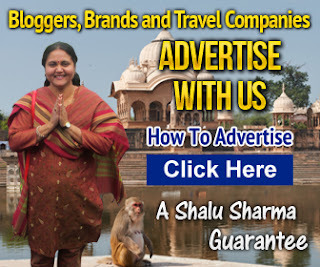 i highly recommend shalusharma.com to each and every tourist who is planning to visit India..
Its Really a Nice Blog. From the Beginning It was having different Subjects but today When I landed here Found Lots of Goods Posts on Indian Tours and Travels and Guide. Which Is really Nice. 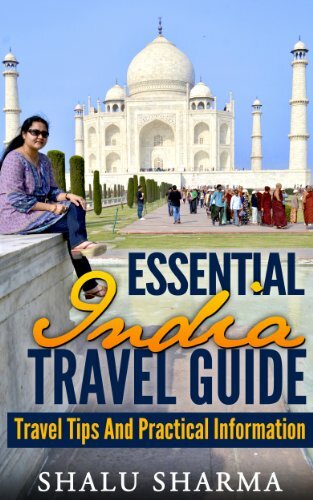 Great information about india entirely. I’d like to guest post here and get featured as soon as possible but what if my site is not travel related? 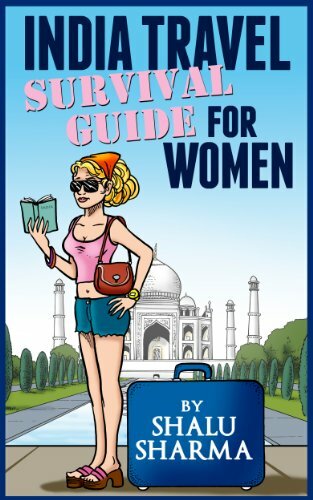 I am a new female blogger from India and am highly inspired seeing a fellow blogger (that too an Indian female) running such a hugely popular blog. I would want to put up a guest post on your blog about “Customs of Rajasthan”. I run a health related blog, though. Please tell me if I can do so. I wish to make a guest post for you. I run a blog as in my URL of this comment. It has travel related content but in addition it has about finance (banking, investment in India) and also movie reviews. Will you accept my guest post?? This is Peter, I went through your site (http://www.shalusharma.com/) while surfing in Google, am very much impressed with your site’s unique information. I work as a content manager in many travel communities and love the opportunity to guest post for your readers. I would like to give you a unique article on any travel related theme. No duplication or copying of the article is done. I assure you that the article will be published only on your site. The best part is I won’t be charging you a penny, but in return all I need is just one link within the article. Looking forward for a positive reply. Very informative blog that keeps us learning about India. I wish featuring here is not limited to travels bloggers alone. Really a nice and helpful blog for latest Traveling Tips.Really liked information you provides. Informative post and very good post…I felt like I enjoyed all over India. I would admire you to write some posts for our blog as a guest blogger. This blog is really informative information regarding travels for all over glob and give clear tips, I would like to guest posting here and featured as soon as possible. Great and nice informative blog on mysore, had visited mysore once but only visited few of those mentioned in your post. Am eager to come back and visit rest of them. Hi Shalu amazing blog and by providing an opportunity to the fellow bloggars, you are really doing a great job. Thanks and keep it up. good blog!! You could start many more. I love all the info offered. I will stay tuned. I came across your website through Google and found it very much informative . I am not a big writer , i am just a beginner , i want you to write a post on my blog , i am not asking you to exchange articles or something . You have done good job. I read your blog. I am a blog writer and I want to post a guest blog on your site. How can I post. Guest posting has really change the thought of online marketing professional. As per new algorithm of search engine guest posting really help a lot. Any visitor to India, specifically Delhi, should also not miss trying Rajasthani and Marwari food at Shraman restaurant. They serve some fabulous delights like Dal Batti Churma, Jodhpuri Mirchi ka Pakora, Papad aur Mangori ki Subzi and Paan Patta Chaat. Your website is really nice & informative. Thanks for giving chance to bloggers for guest posting. I came across your blog and as a blogger I found your site useful as well as well written and informative. It is good to go through a blog which showcases true India whether bad or good and does not fool around with people’s emotions and minds. I would like to write articles for your blog. I am an avid writer and like to pursue in my spare time so that I not only connect with larger group but also share their experiences and thoughts. I hope you will provide me an opportunity with that. Thanks and hope to hear soon from you. i visit you site it very nice. .it very informative . you will up date time to time.. so that it will become best all time.. I landed on your site while searching for guest post opportunities for the travel industry. I really love the way you present your travel content and the quality and diversity of authors you have. I would like to submit some good quality travel-related guest posts to your site. 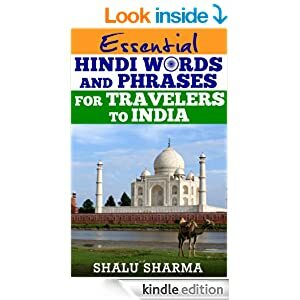 I am from India and an avid traveler, I can write a lot of Indian travel-related content for you. Please let me know if you have any specific topics in mind. If not i can create well researched articles around Tourism India and send it over to you for publishing. Very Good. Actually I didn’t know the actual meaning Namaste, till I read your awesome post. Thank you. With every event, the best wedding photographers in India has improved so far from the beginning. We love to document the real moments that happen between people who love one another. We have our own gratitude to these individuals. Thanks for giving chance to bloggers for guest posting.i visit you site it very nice. I am a great fan of you Shalu Mam.I love your site and this guest post page is awesome.I found this page in 1st page when I searched “Guest Post”Proud to be an Indian. My Name is Preet Sharma, I want to write blog post on your website/blog could you please tell me the whole procedure and process to do it. I have already written content approx 800 words with high quality images. Your website is really inspiring. Thanks for this informative article about guest posting! in india we often see people forcing culture which can be indian or western, values, morals and traditions..
is it right to force people in modern india anymore..isn’t the individual who is an adult capable of making his or her decisions..
what rights do we have in india…. Thanks for providing opportunity for guest posting articles. I have a question, can we submit hindi articles???? I found your site really helpful and informative. your site is very useful for tourist. I just reached out & noticed the content here are amazing. Your website is very informative and i loved the Ghost stories narrated by you. Many such incidents happened with me also which i will share with you soon. I Read your many post, Really your blog awesome… I think a planning to Guest post on your blog. But my blog is related to health, Home Remedies niche, can you allow me?